What is my tax filing deadline? Depending on what type of income you are reporting, your income tax filing deadline may either April 30th or June 15th 2018. If you or your spouse are reporting income from an unincorporated small business then you are able to file your taxes on or before June 15th 2018, otherwise you will need to file and pay any outstanding taxes by April 30th 2018 or you will be subject to a late filing penalty and interest on taxes owing. What if I own property outside of Canada? Do you have property in a country outside Canada or have any investments that are held outside of Canada worth more than $100,000 Canadian combined? If so you may need to file a Foreign Income Verification Form T1135 to report any income from foreign held property. This form must be filed along with your annual tax return by the same date they are due (even if you are not otherwise filing a tax return). If your assets are valued under $250,000, you are able to take advantage of the simplified reporting form. The types of assets covered in the form include funds held outside Canada; certain real property situated outside Canada. Excluded from the foreign disclosure requirements are personal-use properties like vacation homes used more than 50% of the time for personal use. Also excluded is property used exclusively in an active business, property in an RRSP, RRIF and a registered pension plan, mutual fund that include foreign investments, property of immigrants and shares in a foreign affiliate. Speak to a tax professional if in doubt as the penalties for non-disclosure are quite expensive. What do I need to know if I’m a newcomer to Canada? New immigrants including refugees, who immigrate to Canada during the year are required to file a Canadian tax return to report their world-wide income during the time in which they were resident in Canada. Federal taxes are based on the actual number of days that the taxpayer is resident in Canada, while provincial taxes are based on residency on the last day of the calendar year. The Fair Market Value (FMV) of their assets at the time of immigration must be calculated and, personal amounts are prorated according to the number of days the taxpayer was resident in Canada. Income verification is re required to collect refundable tax credits. See a tax professional for held with the forms required. Most costs of going to work are not deductible, however if part of your income is related to commissions, you may be entitled to additional deductions. Employers are generally required to pay for the work environment, any equipment and supplies used by their employees while they are working but in some cases the employee may pay for these costs and are then able to claim a deduction. If you pay certain business expenses as an employee and did not get reimbursed, your employer must complete the Declaration of Conditions of Employment Form T2200 in order for you to deduct employment expenses from your employment income. Examples of some of these expenses that are deductible are salaries paid for an assistant; office rent or certain home office expenses or supplies such as stationary and postage can all be eligible for a tax deduction. In addition to possible employment expenses, employees receive a non-refundable tax credit of up to $1,178. The rules for claiming automobile expenses are similar for both employed and self-employed individuals and are one of the most frequently audited expenses by the CRA. Keeping track of receipts and a driving log of employment/business related use will assist in providing proof that the CRA so often asks for. When using your vehicle for both personal and business/employment purposes, it is necessary to keep a log that records distance driven for both purposes for at least one year. After this you can keep a log for as few as 3 consecutive months just as long as your driving patterns don’t have any major swings of more than 10%. This ratio can be used to determine the how much of your total vehicle expenses can be deducted. What expenses can commission sales people claim? Employees who earn their living negotiating contract for their employers or selling on commission may claim certain itemized sales expenses, as well as income tax preparation costs and legal fees incurred to defend charges incurred in the normal course of business, auto and travel expenses. These claims are allowed only if salespeople are required to pay their own expenses and regularly perform their duties away from their employer’s place of business. However, the expenses are categorized into two groups; deductible travel and deductible sales expenses, which includes promotion, 50% of entertainment costs and home office costs in certain cases. The expense categories are separated because it is not possible to claim sales expenses that exceed commissions earned in the year, except for the costs of interest and capital cost allowance (tax depreciation) on a motor vehicle. Employers will be required to verify in writing that expenses reimbursement was not given and that the out-of-pocket payments were required as a condition of employment. What should a senior on OAS be aware of? Old Age Security (“OAS”) is a social insurance program that provides a basic level of pension income, on application, to anyone age 65 or over who meets residence requirements. The amount of Old Age Security pension must be included in taxable income, for 2017 the maximum amount has been determined to be $6,942.36. OAS is reduced for persons with high income through a recovery provision of the Income Tax Act. For 2017, the tax recovery applies to persons whose net income exceeds $74,788. For each $1 of income above this limit, the amount of basic Old Age Security pension reduces by $0.15. The maximum claw-back threshold is $121,070.40 in 2017. Beyond this level of income, the OAS payments are completely clawed-back. Repayment of clawed-back OAS is made through deductions at source. If net income is more than $74,788, one-twelfth of the total estimated repayment for the year will be deducted from your monthly OAS payments. The estimated repayment is based on your previous year’s tax return. If you still qualify to make RRSP contributions for yourself or under a spousal RRSP, making a contribution may reduce or eliminate the claw-back of OAS. You can also choose to defer your OAS benefits to age 70, which would increase your OAS payments in the future may be a good idea if your income is in the claw-back range when you turn 65. Talk to your tax specialist or investment advisor to see if this option is right for you. Should I take my CPP early or late? Should you start your Canada Pension Plan early or defer until age 70? CPP pension benefits are taxable; however you are able to split pension income with your spouse if you are both over the age of 60 in order to smooth out the total income taxes payable. CPP benefits can be drawn as early as age 60, reduced 0.6% for each month before 65 or as late as 70 increasing by 0.7% for each month deferred after age 65. It is worth keeping in mind that a full CPP at age 60 might be $9,800 a year. At age 65 it might be $13,300 a year. At age 70 it might be $19,000 a year. 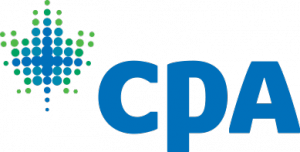 One strategy to improve CPP performance is by using life insurance. This is especially effective if you defer CPP to age 70 and provided you will likely be leaving a decent sized estate. The big risk of someone deferring CPP is that they die shortly after starting the pension. You should consider what kind of expenses you have and when you will most enjoy the money. Some believe that it’s better to have a higher income later because of raising costs of health care but your individual situation should be carefully evaluated. Consider talking to a tax specialist to see what options are right for you. Medical expenses that are more than $2,268 or 3% of your net income are eligible for a tax credit. It makes sense to lump your medical expenses together as much as possible. It is recognized that large medical expense may be spread out over several months and you have the option of choosing any 12-month period ending in 2017 in order to reach the medical expense threshold. There are many expenses which qualify for the medical tax credit from Air Filters to home alterations to make your home more accessible for disabled family members that qualify. Travelling more than 40 kilometers from home to obtain medical treatment qualifies as a medical expense. If you travel 80 kilometers or more, you are entitled to claim meals and lodging expenses as well. Keep a log and claim either your actual gas receipts or use a cents per km method. For 2017, the each kilometer is worth 47 cents in Manitoba. Meals and lodging are based on receipts, keep these to support your tax claim. New for 2017: Eligible medical expenses include medical intervention required to conceive a child. The cost incurred as far back as 2007 can be claimed. What about the Disability Tax Credit? The federal disability tax credit amount for 2017 is a non-refundable tax credit for individuals with a severe and prolonged mental or physical impairment is $8,113 with an additional $4,733 if the individual is under 18 for a total of $12,846. A doctor and now nurse practitioners are now able to certify eligibility for the disability tax credit by filling out form T2201, Disability Tax Credit Certificate. This is claimed on the disabled individual’s return, any excess can be transferred to a supporting individual or spouse. What about the Home Accessibility Tax Credit? If you are supporting an individual or are an individual who is at least 65 years of age or eligible to claim the disability tax credit you may also be eligible to claim up to $10,000 in qualifying renovations to your home to make it more accessible or functional for the qualifying individual within the home. Renovations may also qualify if they reduce the risk of harm to the individual accessing or living within the home. Eligible expenses would include work performed by professional electricians, plumbers, carpenters, architects and contractors. If you do the work yourself, you cannot claim your own tools or labour but building materials, fixtures, equipment rentals and permits would all be eligible expenses. Some of these costs may also qualify as a medical expense as well, for more information please talk to a tax specialist. There is a new Canada caregiver credit which consolidates the existing caregiver credit, the infirm dependant credit and the family caregiver tax credit. The new credit can be worth up to $6,883 in respect of each infirm dependant who is an eligible relative. This credit is reduced dollar for dollar by the amount of the dependant’s income above $16,163. The credit will no longer be available in respect of a non-infirm individual over 65 years of age that lives with their adult child caregiver. A lower maximum amount of $2,150 for infirm dependants which is currently the family caregiver amount is required to be claimed at the lower rate. If this results in less tax relief than would be available if the higher amount was claimed instead, a top-up will be provided to offset the difference. What about the Public Transit Tax Credit? The Public Transit Tax Credit for public transit fares after June 2017 has been eliminated. You are still able to claim the 15% non-refundable credit for the cost of the eligible transit passes from January 1 – June 30, 2017. If you have purchased an annual transit pass, this amount will be based on the cost of the pass usage until June 30, 2017. I’m a student, are there tuition and textbook credits? The federal tuition and education and textbook tax credit have been eliminated beginning in 2017. Any federal education tax credits that have been earned before 2017 can be carry forward and claimed in 2017 and in subsequent years. The Manitoba government has not eliminated its provincial education tax credit and there have been no announcements made to any potential changes in the future. For 2017 and future tax years, the tuition tax credit has been extended to include fees paid for occupational skills courses offered at post-secondary institutions in Canada that aren’t at a post-secondary level provided that the student is at least 16 years of age and enrolled in the educational institution to obtain or improve skills in an occupation. To claim the tax credit for tuition fees, you must have received an official tax receipt or a completed T2202A Tuition, Education and Textbook Amount Certificate. If the cost of the tuition was less than $100 paid to any educational institution, that amount is not deductible. The tax credit can also include the cost of courses and seminars related to your work. If you were taking courses as a requirement for work, and your employer has provided you with a form T2200, Declaration of Conditions of Employment indicating this requirement, then you can claim this as an employment expense instead of a tuition tax credit. What if I have tuition fees? The budget announces that Manitoba will phase out the Tuition Fee Income Tax Rebate starting in 2017. Effective for the 2017 tax year, the rebate for individual graduates will be capped at the lesser of Manitoba income tax payable, 10% of eligible tuition fees, or $500. The rebate is fully eliminated for the 2018 tax year and any unclaimed rebate credits will lapse. The Manitoba budget also eliminated the Tuition Fee Income Tax Rebate Advance for tuition and ancillary fees paid in relation to a school term that begins after April 2017. How can I maximize my RRSP deductions? Take a look at last year’s Notice of Assessment to find your RRSP Contribution Room before the February 28, 2018 deadline. The maximum contribution you can make for the 2017 tax year is 18% of earned income up to $26,010. You may be able to contribute more if you have not maximized your past contribution room. Your RRSP contributions may reduce the taxes you pay as well as help create or increase social benefits like Universal Child Tax Benefit or reduce claw-back of Old Age Security or Employment Insurance Benefits. It is important to make sure that you do not over-contribute, making RRSP contributions more than $2,000 over your available room are subject to a 1% per month penalty tax which is payable by March 31. A Tax Free Savings Account allows adult Canadians to save or invest money in a tax free account, this was new in 2009 and the maximum contribution room has been building ever since. Effective January 1, 2018 the maximum contribution limit has been set as $57,500 with an additional $5,500 in available room for this year. Contributions into your Tax free savings account are not deductible but the interest, dividends or capital gains earned on investments within the account are not taxable. This means that you can take this money out on a tax free basis. Taking out money from this account will not affect your eligibility for benefits and tax credits which are calculated on your level of income such as Old Age Security, the Guaranteed Income Supplement, the Canada Child Benefit, the Working Income Tax Benefit and the Goods and Services Tax Credit. What if I’m recently separated or divorced? A couple is considered to be separated when they stop living together in a marital relationship for a period of 90 days. The couple is not required to have separate addresses but need to show that the couple is no longer in a relationship. When a couple separates, each person’s tax and credits are calculated separately, and income and assets are separated. Spousal support payments made are taxable, however child support is not. Generally assets can be divided on a tax free basis. It’s important to seek the advice of a tax professional to ensure full after-tax equality when a couple separates. The Canada Child Benefit (CCB) is a tax-free monthly payment made to eligible families to help them with the cost of raising children under 18 years of age. When a family breakdown occurs, the CRA should be notified 90 days after separation. In case of joint custody, each parent has the right to receive half of these amounts. If not otherwise stated, the government assumes that the eligible CCB recipient is the female parent. One of the most valuable deductions available for working parents continues to be the child care expense deduction. The amount that you can deduct annually for each child ages six and under is $8,000 and $5,000 for each child between seven and 16. If your child is eligible for the disability tax credit, you can deduct $11,000 regardless of the child’s age. The total deduction is limited to two-thirds of the salary or business income of the lower income spouse. There are special rules that apply in cases for single parents and those who have separated during the year or are divorced. In these cases the person who lives with the eligible child or children can claim the child care expenses to the extent that they were paid by the individual. Make sure that you keep all receipts as the CRA may ask to see support for these expenses. You are able to claim amounts paid to family members looking after your child but make sure that you obtain a receipt and include their SIN on your tax return. The family member should include these payments as income on their tax return. Keep in mind that minors do not count as eligible childcare providers in this case. Summer camps are eligible for childcare expenses but make sure that you get a detailed receipt as only the childcare portion of the fees are deductible. Lunch-time supervision at school also qualifies however any cost of food should not be included. The Canada Child Benefit (CCB) is a tax-free monthly payment made to eligible families to help offset the cost of raising a child. The benefit is based on adjusted family net income and the number of children in your family. The current maximum amount of CCB per child under six is $6,400 which will increase to $6,496 in 2018. For children age 6 through 17 is $5,400 which is scheduled to increase to $5,481 in 2018 and $5,591 in 2019. Many parents use the majority of the CCB payments to help pay for daily living expenses, but you can also use this payment strategically to save for the future and take advantage of government grants and a special exception to the income attribution rules. If you’re not already maximizing contributions to your child’s Registered Education Savings Plan, using a portion of the CCB payment for this purpose can provide a rate of return of up to $500 per child annually because the contributions will be eligible for the Canada Education Savings Grant. You can also consider investing some of the CCB payment into your child’s bank or investment account. Gifting money to your child would typically result in any income or dividends to be attributed back to you, however the tax rules provide an exception where the funds invested came from CCB payments. If you child has little or no other income, then all the income earned from investing the CCB in your child’s name can be effectively earned tax-free because the child can use their basic personal amount to shelter up to $11,635 of income federally each year. What is the First Time Donor Super Tax Credit? The first-time donor’s super credit (FDSC) increases the value of charitable donation tax credit from 15% on the $200 and 29% on donations over $200 an additional 25%. When combined with the regular donation credit, the first $200 of cash gifts in a year will earn 40% federal credit and the remaining amount, up to $1,000 will earn a 54% federal credit for charitable donations over $200. The super credit can only be claimed once and in the case of married people, the super credit can be claimed by either person or shared between the couple. For the purposes of the super credit, you will be considered a first time donor if you or your spouse have not claimed any charitable donation after 2007. This is a reminder that 2017 is the last year that this super credit can be claimed so if you haven’t made the claim consider making one to take advantage of this extra incentive. What about child fitness and artistic program tax credits? When filing out your 2017 tax return please remember that the Children’s Fitness Tax Credit and the Children’s Arts Amounts have been completely phased out. You are no longer eligible to claim a credit for programs that you have signed your children up for in 2017. What is the Working Income Tax Benefit? The working income tax benefit (WITB) is a refundable tax credit intended to provide tax relief for eligible working low-income individuals and families who are already working and to encourage other Canadians to enter the workforce. You can claim the WITB if you are over the age of 19 and you are a resident of Canada for income tax purposes making over $3,000 in income. For families, the maximum amount of WITB for 2017 is $1,894 if the family’s working income is between $10,576 and $16,348. After this, the working benefit is gradually reduced and the payment is reduced to zero when family net income is more than $28,975. You can also apply to receive up to 50% of your 2018 WITB in advance. Any WITB that you are entitled to and do not get as advance payments will be credited to you when the CRA assesses your 2018 tax return. You can apply for the working income tax benefit advance payments for 2018 by filling out form RC201 no later than August 31, 2018. What if I turn 71 this year? If you turn 71 this year, your RRSP must be converted to a Registered Retirement Income Fund (RRIF), purchase an annuity, or be paid out in a lump sum by December 31. Between the ages of 65 to 71, conversion is voluntary to take advantage of pension income tax credit and pension splitting. If you convert your RRSP to a RRIF, you can withdraw any portion of your RRIF that you would like, as long as you meet the minimum withdrawal each year. Beginning at age 71, your minimum payment is 7.38% of the market value of your RRIF. RRIF payments are taxable income in the year, so you should consider how much income you will need as taking payments earlier than needed may put you in a higher marginal tax bracket and may also result in claw-back of government benefits such as Old Age Security. Talk to your tax specialist or investment advisor to see what level of withdrawals make the most sense for your retirement needs. What is the Political Contributions Tax Credit? The Manitoba budget increases the maximum eligible contribution allowed under the Political Contributions Tax Credit to $2,325 from $1,275 effective for the 2018 tax year. The credit is earned on eligible contributions made to a recognized provincial political party or candidate for election to the Manitoba Legislature. When it comes to managing your personal taxes, our team at ONBusiness Chartered Professional Accountants (located in both Winnipeg and Steinbach, Manitoba) pride themselves in their commitment to accuracy and professionalism. From receiving your files to the final step of electronic filing, We’re ON It! ONBusiness offers competitive rates coupled with a quick turnaround time to ensure your tax return experience doesn’t get the best of you. Ready to hand the stresses of tax season over to professionals who have your best interest in mind?